To identify linear epitopes on the non-structural protein 3AB of foot-and-mouth disease virus (FMDV), BABL/c mice were immunized with the 3AB protein and splenocytes of BALB/c mice were fused with myeloma Sp2/0 cells. Two hybridoma monoclonal antibodies (mAbs) cell lines against the 3AB protein of foot-and-mouth disease virus (FMDV) were obtained, named C6 and E7 respectively. The microneutralization titer was 1:1024 for mAb C6, and 1:512 for E7. Both mAbs contain kappa light chains, and were of subclass IgG2b. In order to define the mAbs binding epitopes, the reactivity of these mAbs against FMDV were examined by indirect ELISA. The results showed that both mAbs can react with FMDV, but had no cross-reactivity with Swine Vesicular Disease (SVD) antigens. The titers in abdomen liquor were 1:5×106 for C6 and 1:2×106 for E7. 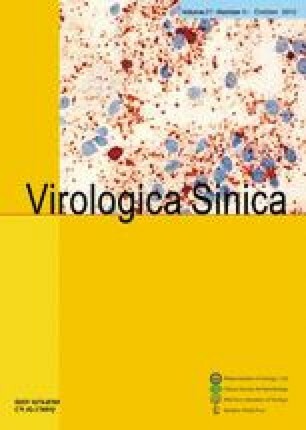 In conclusion, the mAbs obtained from this study are specific for the detection of FMDV, can be used for etiological and immunological researches on FMDV, and have potential use in diagnosis and future vaccine designs. Foundation items: State Key Projects of Transgene Program (No.2011ZX08011-004; 2009ZX08007-008B; 2009ZX08006-002B).